New Sprinter vans can come completely empty. Just a rattling tin can on wheels. 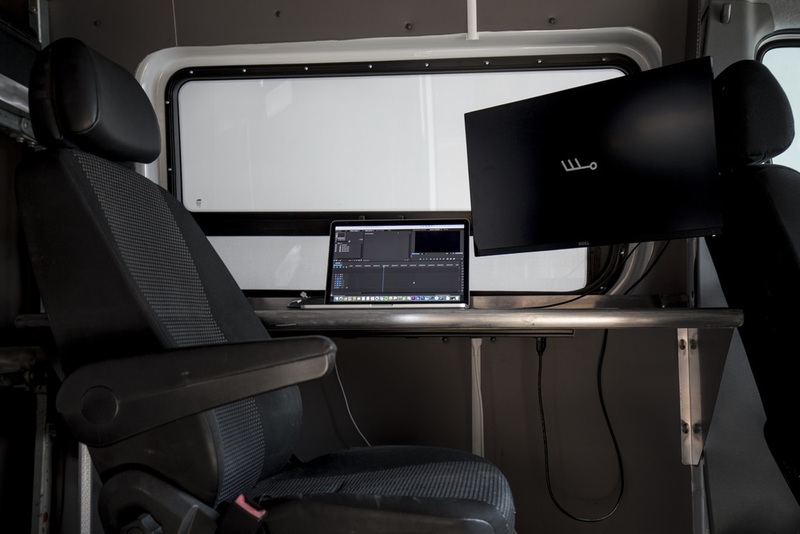 To us, it was a blank canvas to create the perfect mobile HQ. It is no secret that the majority of stories in our portfolio take place across the country. We are storm chasers in the narrative and documentary world, which can be exhilarating, exhausting, and surprisingly inefficient. The goal for 2016 is simple - continue to make our workflow more reliable, allowing us to work at maximum efficiency and quality no matter where we are. Delivering an edit on a deadline for one client while shooting for one job and preparing for another is a juggling act, and without the right infrastructure, we risked dropping the ball and losing our clients' trust. When you're without internet and power working on your lap in the backseat of a SUV in Nebraska (shoutout to our favorite state), that risk is real. Working out of the back of an SUV taught us a lot, and forced us to think about the next big investment - a fully built out office on wheels. 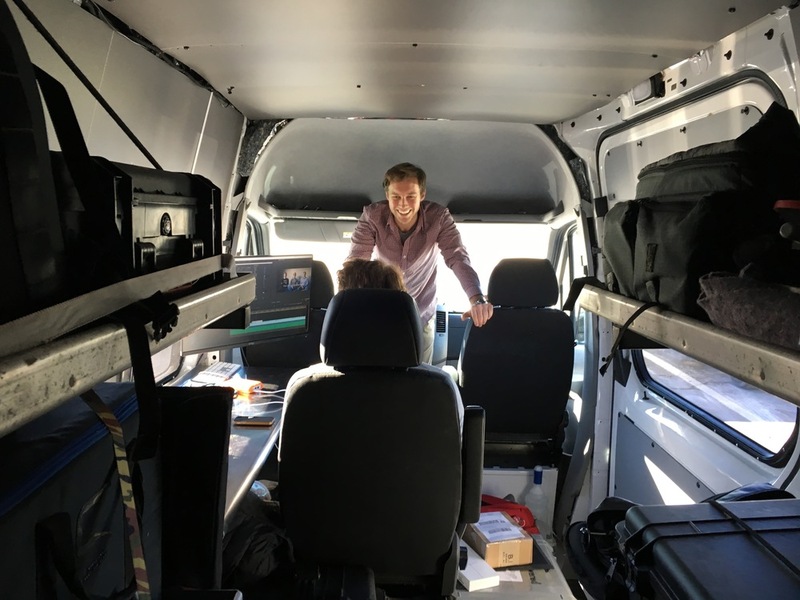 “Mobile HQ”, for us, means stepping up our game in efficiency so that while on the road we can seamlessly be editing the last job, DIT for the current job, or producing the next. When the Sprinter was delivered we went straight to work with identifying a checklist, with the below having high priority to hit by the time we hit the road 2 weeks later. Insulate the walls, ceiling and floors to keep in the heat and keep out the noise. Wire outlets throughout the vehicle to bring power to the front and back. Supply and store power while driving and stationary. Install a backup camera. While the console is ripped apart install a brake controller to tow the trailer. Cut windows into both the left and right side. 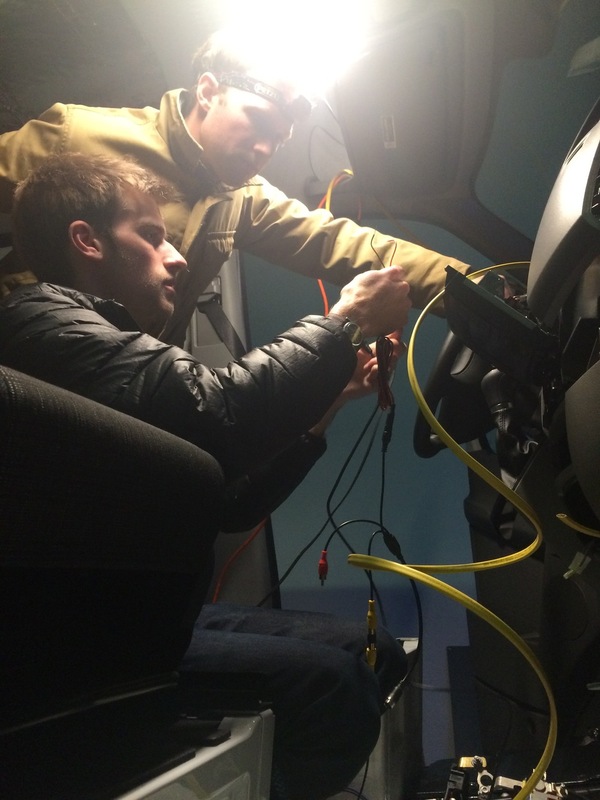 Build the suite: find a third seat and bolt it into the floor, install a desk and monitor, create vehicle hotspot. Find collapsable shelves to store equipment. Slap on the logo with decal vinyl. We met our 2 week goal and thanks to partners like IdeaPaint and GoalZero, we now have a rig that can foster collaboration anywhere, including places where the sun serves as your outlet. Special thanks to our dear friend Jay at General Auto Recycling in Tiverton, RI. We’re not sure how we found you, and you probably regret it by now, but you are literally one of the only places that resemble a Sprinter graveyard in the east coast. That's where we found the shelving units and the third seat that our shipyard neighbors Boston Bridge and Steel welded into the van floor. Thanks to New England Van for installing the windows and Jonathan for doing the vinyl decal logo. And of course, a big thank you to Viti Mercedes in Tiverton, RI for the van itself. In '95 Mercedes partnered with Freightliner to produce a road warrior dubbed the Sprinter. She is built off semi-truck chassis materials and outfitted with a Mercedes powertrain and diesel engine. Cruising at 65 with trailer in tow we match the fuel efficiency of a hybrid SUV. A few more photos from the build.